If you have recently decided to get a tattoo removed from your body, you likely are wondering what the experience will be like. How long will it take? Will it hurt? How long before I see results? Is there any special preparation that is needed prior to the treatment and is there any special care required afterwards? At Shore Vascular & Vein Center, your tattoo will be evaluated by our Board Certified Surgeon. During the initial appointment, we will examine the tattoo for things such as size, location and color and ask questions about your general health, how your skin reacts to the sun, any other treatments that you may have had, and other pertinent medical information. Then we’ll give you a reasonable estimate, to the best of our ability, of the amount of treatments that will be needed and answer any questions you may have. It is our goal to provide complete information to you and make sure you comfortable throughout the entire process. Once you decide to embark on removing that unwanted ink and make an appointment with us, we can usually start treatment immediately, so you don’t have to wait or schedule another time to come in in order to begin the process of eliminating your tattoo. Prior to treatment, the area will be cleansed and we will provide a tropical anesthetic to the area for your comfort. The amount of discomfort that people feel is very individualized. Most commonly, people equate the sensation to a rubber band snapping on the skin. And many of our patients agree that the procedure for removing the tattoo is no more painful than getting the tattoo, and it is generally much faster! The amount of time it takes is dependent on the size of the tattoo but most treatments can be completed in a just few minutes, as the laser pulsations occur very quickly. After treatment, our physician will apply an ointment to assist in healing, along with a dressing to protect the sensitive area. You’ll also be given instruction for taking care of the site yourself at home. 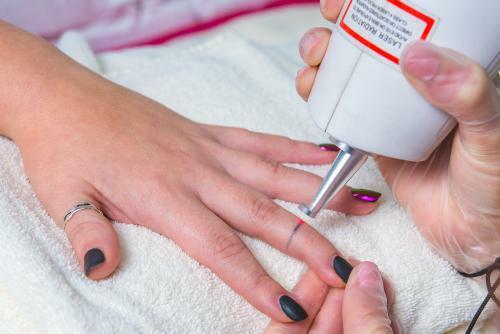 This process is very easy and simply consists of gently cleansing the area and applying ointment for a few days (much like you were required to do when you got the tattoo). The area will look a bit red and bruised for approximately a week. Sometimes, particularly with colored ink, some temporary blistering will also occur – however, this only lasts for a few days and typically heals completely with any scarring. People will typically notice a reduction of the darkness of their tattoo within a couple of weeks after treatment and it will continue to lighten in the ensuing weeks. 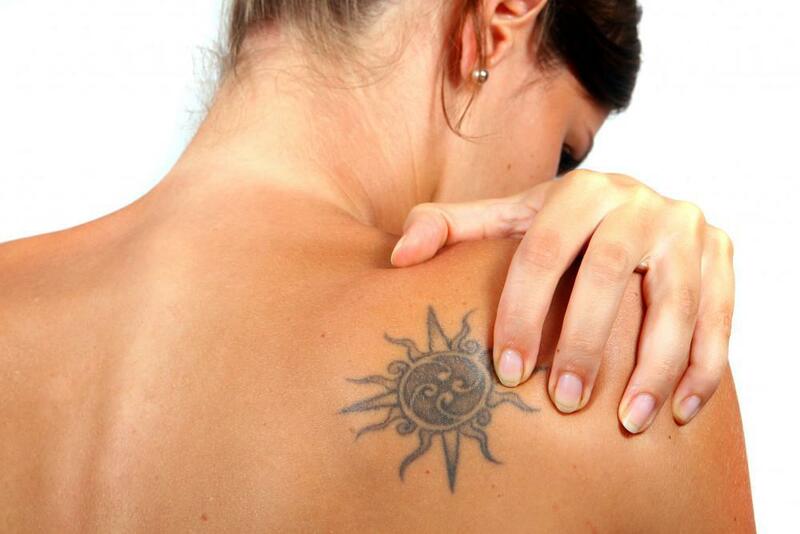 Laser tattoo removal is usually not a one treatment process; multiple treatments are often needed. Repeat treatments can usually be performed about 4-8 weeks after the prior treatment. At Shore Vascular & Vein Center, our medical director, Board Certified Surgeon Dr. Jeffrey Gosin, uses the latest, most advanced laser available in Atlantic, Cape May, Ocean, Cumberland, and Camden County for tattoo removal. In fact, his enlighten™ laser is considered the new standard for tattoo removal by laser specialists from around the country and is the first and only laser of its kind in the entire Delaware Valley. When you are ready to erase that unwanted ink, call us at (609) 927-3030 for a FREE consultation and visit EndTattooRegret.com for more information on pico second laser tattoo removal.